My winter solstice was an eventful day. It started with a trip to Boutink in Farnborough – a tattoo studio staffed and run by very talented female artists, Jessie and Luna, with Elisa as their right-hand-woman. This was my fourth time getting tattooed and I loved it. I’ve wanted to get my very first tattooed covered for such a long time – nothing screams “I got my tattoo in the 90’s” more than Japanese Kanji, and I very quickly became bored with people asking me what it meant. I don’t regret getting it, I just wish I had thought it through more. So I had been on the look out for new artist for a while, and I happened to find Boutink. A couple of months ago I met up with Luna for my consultation in Boutink’s beautiful reception. I knew roughly what I wanted and had some photos for inspiration, so Luna took all this on board and jotted down a few ideas. She sent me her design a couple of weeks later which was amazing, and after a couple of adjustments, I had my final design. The day of my appointment arrived and I was nervously excited. My last tattoo was two years ago and I had forgotten how it felt, so I was a bit apprehensive. Luna and Elisa made me feel so welcome as soon as I walked in the door (so unlike some other tattooing experiences I’ve had!) and this immediately made me feel more relaxed and comfortable. The studio feels more like a beauty salon and everything is immaculate. You get a private room for your appointment with a DVD player and TV (I had How the Grinch Stole Christmas on!) and yes, the tattoo hurt like hell but it was pain in much nicer surroundings! 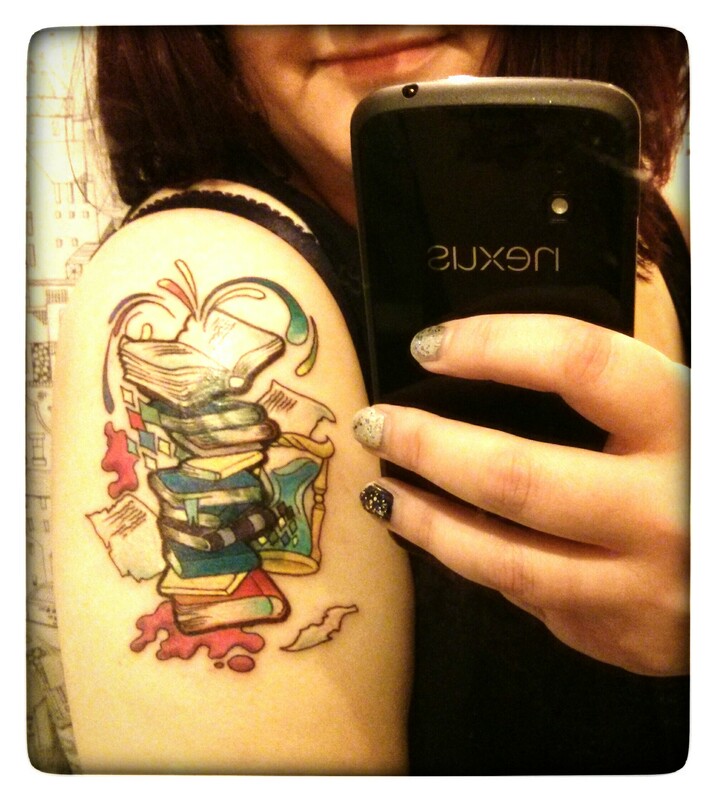 And the most important thing – I have a bloody amazing tattoo. I love it, I love it, I LOVE IT. I can’t wait for it to settle down so I can take proper photo – it’s a bit yucky and oozy at the moment. I looked down at my arm once it was done and it felt so weird seeing it, like it wasn’t my arm. I’ve had the Japanese there for almost half my life so I think it’s going to take a little bit of getting used to! Luna is amazing and I’m giving serious consideration to my next tattoo so I can get another Luna design. Arm strapped up with clingfilm, I battled through the wind and rain to the Union Chapel for my 20th Patrick Wolf gig, and a special Night of Winter on the longest night of the year. Patrick was as stunning as usual, and I ADORED the reintroduction of electronics – the theremin beginning to Together actually took my breath away, as it seemed to do of most of the people in the audience. Time of My Life sounded freaking perfect and Teignmouth brought tears to my eyes. 21st gig now please! Ooooo new tattoooooo! Very nice.